OPINION: My Solution to World Championships Overseas | Mud and Adventure | Outdoor Active Adventures Begin Here. 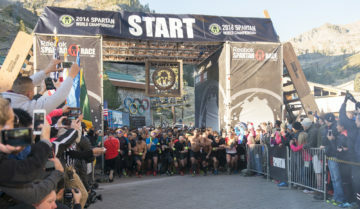 One athlete’s hope that if and when the 3 major world championships (Spartan Race, Tough Mudder, and OCRWC) move overseas, they coordinate the schedules so that they fall 3 weekends in a row. So Adrian, Joe and Will (or whoever handles scheduling for the respective organizations), if you are reading this and if you plan to move overseas try to line up the events for the sake of the athletes and to limit risk to your events. The travel budget and OCR athletes from the US (where all of these companies base of operations is located) would appreciate it immensely.